The Government began its Age Consultation 2011 process on March 3, opening up the debate on a ban on age discrimination in the provision of services and public functions. The details are part of the Equality Act 2010 which received Royal Assent in April last year. For the older generation it represents another positive step in the right direction; a chance to have a bigger voice; be more visible and be treated fairer. There are some exceptions to the details of the Act which make interesting reading. But for the generation which has been poorly treated and penalised by many service providers, not least the financial sector where much insurance, mortgage and banking provision has been dependent upon a person’s birthday – this is an act of parliament to be welcomed. There is no excuse for treating older people any differently from any other member of the population. Health ombudsman Ann Abraham made some quite horrendous discoveries in her recent work within the NHS. The upshot of her report said the NHS was ignoring the basic needs of elderly people who account for 75% of those cared for by the NHS and 60% of those staying in hospital. This new bill, if passed, should radically shake-up attitudes and treatment within the NHS and other public and private service organisations because it can’t be allowed to continue this way. Just as the Age Discrimination in Employment Act in 2006 broke the ceiling on the compulsory retirement age, so this new bill, if introduced, will create a much more fair playing field across all service provision. And that’s something more of us should be grateful for as more of us will live longer and use these services. 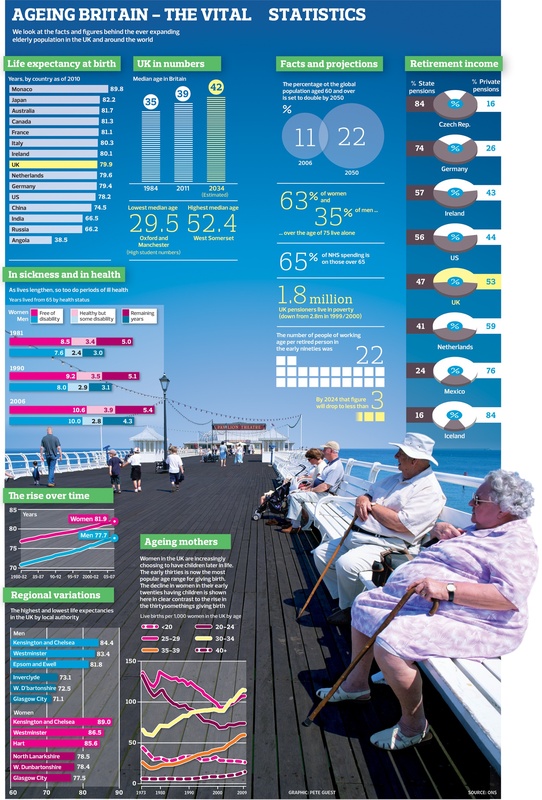 By 2080 there will be 626,900 people aged over 100 in the UK (today there are 11,800) with 21,000 being over 110. This means millions of us will be spending around a third of our lives or more in retirement in the future. Closing date for consultation on the Equality Act is May 25.